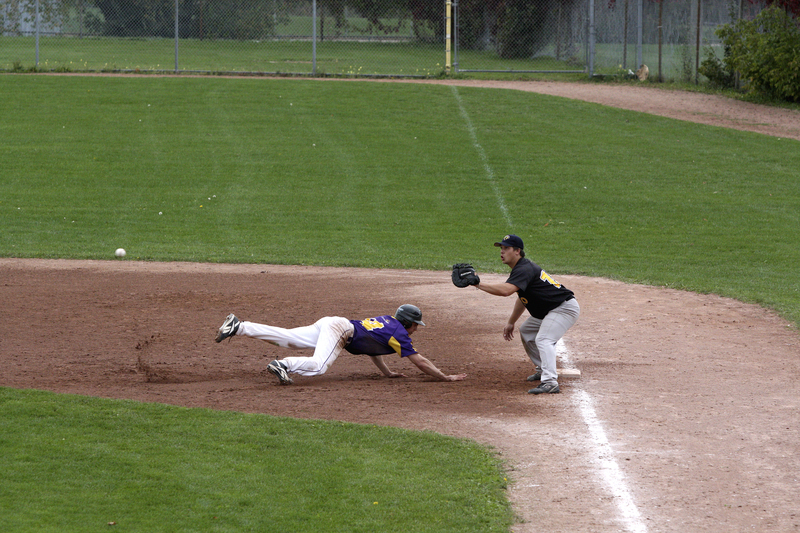 Wilfrid Laurier University’s men’s baseball team was given an ultimatum — present an apology to the school, or face being banned for the entirety of their season. When Sunday night came, 34 players stood in front of athletic director Peter Baxter, interuniversity sport coordinator Wally Gabler and vice president of Student Affairs David McMurray to plead their case. It was announced Monday afternoon that the team would be allowed to continue playing. The team was suspended last Thursday following a hazing incident that occurred at a party off campus. The incident included alcohol and “immature acts” and was reported by Residence Life last Tuesday to the department of athletics and recreation. Further details surrounding the incident had not been released. After a thorough investigation surrounding the baseball team members, it was confirmed that the team would be suspended for their four games scheduled for this past weekend for violating the student athlete code of conduct, which they signed on Aug. 27. But Sunday evening, the Hawks gave a thorough presentation with two trainers, an assistant coach and head coach Scott Ballantyne present, apologizing to the university, the athletics program, the community and the players’ families. The team acknowledged the negative aspects of hazing and proposed activities they will partake in, such as playing a role in the university’s peer-to-peer education programs, delivering anti-hazing and anti-bullying presentations, developing the team’s code of conduct further and initiating new team-building traditions. According to co-captain Brett Van Pelt, the team spent much of the week together working on the presentation. Ironically, he said, it was one of the best team-building exercises they could have had. “We’ve literally been a big family this week,” Van Pelt said. The incident attracted media attention nationally throughout the week. Players were advised to stay quiet on Twitter and not speak to any media. Ballantyne expressed his happiness with his team, despite the events that unfolded this past week. The team forfeited four games, which dropped their record to 4-8. With eight games remaining in the season, Ballantyne is still looking toward playoff contention. The Hawks resumed their season Tuesday night with a 7-4 loss in St. Catharines versus the Brock Badgers. Their next action comes this Friday night at home against Queen’s, followed by a double-header versus the Badgers Sunday.